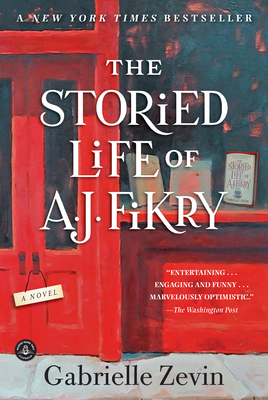 I read The Storied Life of A. J. Fikry in about, 3 hours. Amazing book. I took it with me on a yoga retreat in the North Ga mountains. Zevin knows her way around a bookstore. The customers, the books, she's knows it. At the time my husband and I were at the end of a 2 year adoption. This book was perfect for my frame of mind. I mean, how many books out there, are about a bookstore owner who adopts a child. I laughed out loud and cried my self silly. There's this one part, where a characters talks about losing her mother.. holy crap. It was so funny, yet on point, I cried. This book has been read by everyone on staff, and we all unanimously loved it. Please read this book and give it to your best friend.